I want to exchange gifts again. Happy laughter and bet once Watching others have a happy meal Carefully prepared to exchange gifts I am so happy, I want to go back to the past. / Product description and story / Christmas knot For me, Christmas is a miscellaneous memory. Is happiness is joy, memories are warmth It’s sad, it’s sad, I can’t go back. There are always a few memories of regret that I want to erase. Is the feeling that friendship is the feeling of sister Can't go back can only miss I want to exchange gifts again. Happy laughter and bet once Watching others have a happy meal Carefully prepared to exchange gifts I am so happy, I want to go back to the past. Worthing is Many people like my work. 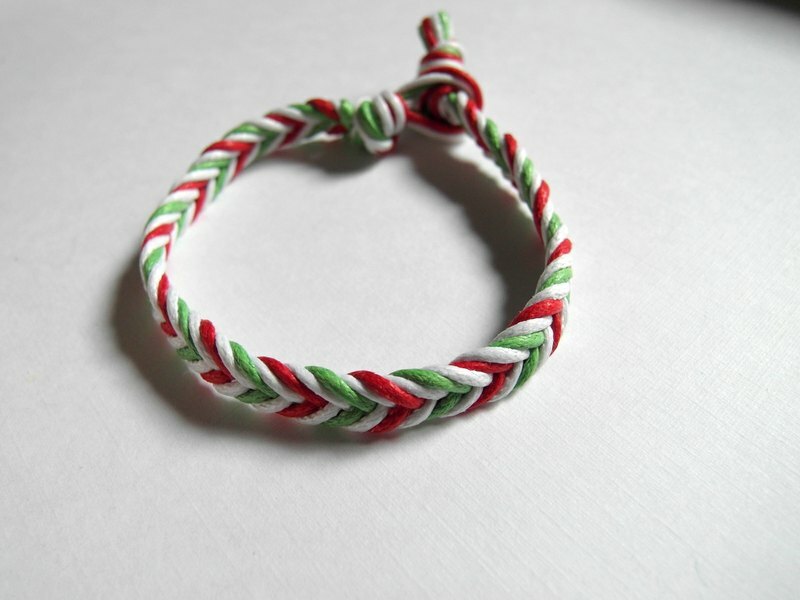 Think of my work as a gift for exchanging gifts Fill the regrets in my heart Thank you Christmas / Specifications / About 0.7 cm wide **Here is the foot ring, the bracelet is in another store喔喔** This color is = red + white + green + white Choose 1-4 colors by yourself https://farm1.staticflickr.com/499/19928794732_d76a5c841d_b.jpg https://farm2.staticflickr.com/1848/29882792567_32e0275d59_b.jpg https://farm2.staticflickr.com/1856/29882792357_beb437b22d_b.jpg https://c2.staticflickr.com/8/7191/27690986401_78b03195f5_z.jpg / Size / Please be sure to measure the size completely. Please use**picket**or**invoice**or**paper**or**line**to mark the amount Re-measure to the place where the mark is made Then tell me the size of the sticker Zoe will add the length of the knot when making it. This length is the most suitable Not too loose or too tight! / Material / Imitation leather rope / Use and maintenance methods / **You can touch the water with a bath, but the material washed will of course be poor. ** **If you don't mind, do it! ** / Designer and brand profile / __Each bracelet has a unique story__ __Also represents a kind of mind and desire__ Simple lines Do some weaving to become a story One accessory a gift Only those who want to wear a bracelet can continue the idea of a good mood with Zoe.